Three bedrooms, four couples and one hectic night. Funny, gripping and acutely-observed, this sophisticated comedy presents a hilarious view of middle-class marriage. Over the course of one night, one monstrously selfish couple hawk their problems around the bedrooms of three other couples and, in doing so, expose the cracks in the other marriages as well as their own. With deft skill, Ayckbourn explores the pressures of marital relationships at their different stages to great comical effect, slicing deep into the soul of suburbia. "Bedroom Farce" is one of many Alan Ayckbourn comedies. They tend to focus on relationships between couples, finding humor in situations everyone can relate to. Here, four couples interact in different combinations on the night of a housewarming party at the home of one of the couples. Hilarity may not arise, but laughter is constant. This is a warmer, sweeter piece than a typical farce. 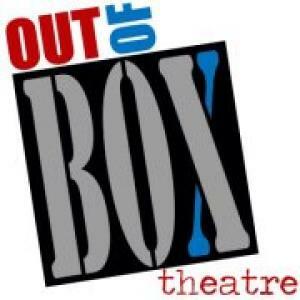 Out of Box Theatre’s stage at the Artisan Resource Center is small. Fitting three double beds into the space was not an easy task for designer Christopher S. Dills, but do it he did. The three bedrooms share bathroom exits, but manage to have individual outside entrances. Stage space is used magnificently. Nikki Strickland’s costumes bring some color (and a LOT of coats) to the proceedings. Action flows among the three bedrooms, and Brad Rudy’s lighting design allows the appropriate sections of the stage to be illuminated during each segment. The lighting helps keep the action moving. English accents aren’t always convincing, except for Jerry Jobe’s as Earnest. Jane Bass’s accent as Earnest’s wife Delia is also quite good, and they work together tremendously well as a long-married couple. No one has a bad accent; it’s just that certain words occasionally come out with an American vowel in the middle of them. Performances are generally quite good. Leigh-Ann Campbell and Jim Dailey work together well as Jan and Nick, her bed-bound husband. They get the lion’s share of physical comedy. Will Brooks and Rebecca Danis are perhaps physically mismatched as Trevor and Susannah, but a lot of the plot situation revolves around their supposed incompatibility. Katie Patterson is delightful as Kate, married to do-it-yourself nightmare Malcolm. The only problem I had with the acting was in Thomas Strickland’s portrayal of Malcolm. I didn’t believe his character; he seemed to give superficial line readings targeted to get an audience reaction.